Happy New Year! Welcome to the monthly e-newsletter for the National Informal STEM Education (NISE) Network and community. The National Informal STEM Education Network (NISE Net) is pleased to announce the award of 250 toolkits to new and existing eligible partners in the U.S. In collaboration with NASA, the NISE Network has assembled a new set of hands-on activities to engage the public in Earth and space sciences including heliophysics, Earth science, planetary science, astrophysics, and their connections to society. Toolkits will be shipped out to recipients this month. View the list of toolkit recipients. The digital version of the 2017 toolkit will be available online for free download in February. In addition to this year's toolkit, we anticipate a series of toolkits with different content available each year over the next three years. All physical toolkit recipients are invited to register for a free four-week online workshop to prepare educators and other staff to present toolkit activities to public audiences. 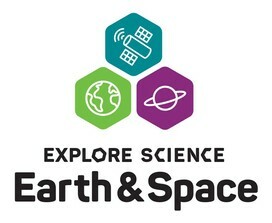 This professional development opportunity is designed to help participants deepen their understanding of Earth and space topics, gain confidence with strategies for engaging museum visitors with these topics, and develop a plan for implementing toolkit activities tailored to your institution and community. Space is limited; the deadline to sign up is Friday, January 20, or until the online workshop is filled to capacity. Learn more about this opportunity, eligibility, and how to apply. 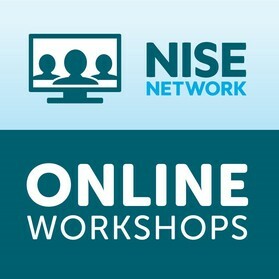 The NISE Network runs a series of free online workshops with the aim to increase the number of professional development opportunities available to our partners, and to create more channels for partners to share their work and learn from each other directly. View full details for upcoming online workshops and archived workshop recordings at http://www.nisenet.org/events/online-workshop. This online presentation and discussion provides an overview of the hands-on STEM activities in your toolkit, tips for using training materials and forming local collaborations, and suggestions for marketing your events and programs. The American Astronomical Society (AAS), with support from the National Science Foundation, is accepting proposals for small grants to fund programs and activities aimed at engaging the public with the total solar eclipse on August 21, 2017. The AAS anticipates funding 20 to 50 grants in the range of $1,000 to $5,000. The deadline to submit a mini-grant proposal is Friday, January 13, 2017. Learn more about this program and how to apply. Boston Open Science Laboratory (BosLab) is a community lab located in Somerville, Massachusetts dedicated to science outreach and offers educational seminars, workshops, and hands-on molecular biology classes for the public. In September 2016, we held two Building with Biology events: a hands-on activity and public forum event. As a community lab, we were excited to join universities, museums, and other educational organizations nationwide in this public engagement project focused on synthetic biology. We recruited talented volunteers from local universities and biotech companies to facilitate activities and participate in the forum along with public participants. We were grateful not only for their expertise in synthetic biology but also for their passion for engaging with the public on this topic. Our guest speaker for the Building with Biology mosquito forum was a professor from the MIT Media Lab who discussed the use of gene drive technology. A common theme that emerged from forum discussions was the importance of effective communication and trust between the public and scientists. Continue to the full Partner Highlight to learn more about BosLab's events and the impact it had on both their community lab and the public they engage with. Kudos to NISE Network partner Kevin Delaney and the Museum of Discovery in Little Rock, Arkansas on Kevin's new Street Science TV show featuring "mind-blowing" experiments. Tune in for the Science Channel debut on January 11th! Watch a sneak peak now. In addition to the activity training videos for each hands-on activity, this toolkit also includes content training videos that are designed to help staff and volunteers understand and communicate the science behind the activities. This new series of content videos star space scientists working with the NISE Network through University of California, Berkeley, and also leverage NASA photos and visualizations from NASA's Goddard Space Flight Center and Jet Propulsion Laboratory. Developed by the NISE Network, this open-ended conversational experience asks visitors to imagine and draw what a space elevator might look like, what support systems would surround it, and what other technologies it might enable. Conversations around the space elevator lead visitors to explore how technologies and society influence each other and how people's values shape the way technologies are developed and adopted. What happens when decisions are based on misleading or blatantly wrong information? Not just political or economical decisions, but also science decisions. The answer is simple - our airplanes would be less safe, our medical treatments less effective, our economy less competitive, our air less clean to breathe, and the list goes on. The "science" of science communication, or how best to communicate science across different issues, societal settings and audiences is not a clear-cut but rather a complex science. The National Academies of Science is working with scientists and researchers across disciplines to develop a stronger empirical foundation for effective science communication strategies. Read the full article about the complexities of science communication. Researchers use carbon nanotubes, gold particles, and artificial intelligence to identify "breath prints" of 17 diseases according to a recent article in Chemical & Engineering News. Researchers leading this effort have developed an artificial intelligent nanoarray, which is a collection of electrically conductive gold nanoparticles and single-walled carbon nanotubes, that are coated with various organic layers serving as sensors whose electrical resistivity changes when in contact with volatile organic compounds from a patient's breath. Read more about how nanotechnology is involved in disease detection. Can CRISPR be used to stop Duchenne muscular dystrophy? Gene therapy, the 30 year-old idea of inserting entire replacement genes into a person's cells using a virus as the vehicle for insertion, is an impractical approach to eradicating some diseases simply because certain genes are too large to fit inside viruses. Fast-forward to present-day with new technologies emerging like CRISPR, which acts more like a "search and replace" function for faulty genes causing debilitating diseases such as muscular dystrophy. A scientist from the University of Texas Southwestern Medical Center is working with one young boy who suffers from Duchenne muscular dystrophy, which is unique to scientists because they know the exact error in DNA code causing the disease, and he is convinced CRISPR is the most plausible way to stop Duchenne. Continue reading about CRISPR, its application to genetic diseases, and the challenges it must overcome. A comet, plus the moon, Venus, Mars and Quadrantid Meteor shower ring in the new year! Watch this short video by NASA for more details. Excited about the new Hidden Figures movie? NASA's Modern Figures Toolkit is a collection of resources and educational activities for students in grades K-12 to bring Katherine Johnson's inspiring story to students: https://www.nasa.gov/modernfigures-education-toolkit/. Pending finalization of a $2 billion dollar loan from the Department of Energy, a new industrial carbon capture facility will be built in Louisiana. Nearby refiners will be supplying petroleum coke, an oil refinery waste product, to the new facility that will turn it into methanol through gasification. This plant will be the world's first methanol facility utilizing carbon capture technology and the world's largest industrial manufacturing carbon capture facility, and overall it will capture 77% of its carbon emissions. Read more about this new methanol plant. Find chemistry news and headlines for 2016, including top stories in research and the pharmaceutical industry. Browse c&en year in review now. 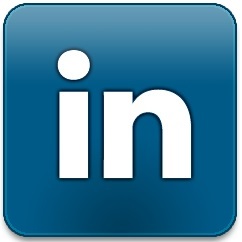 For even more inspiration for year-long events and activities, visit http://www.nisenet.org/seasons.